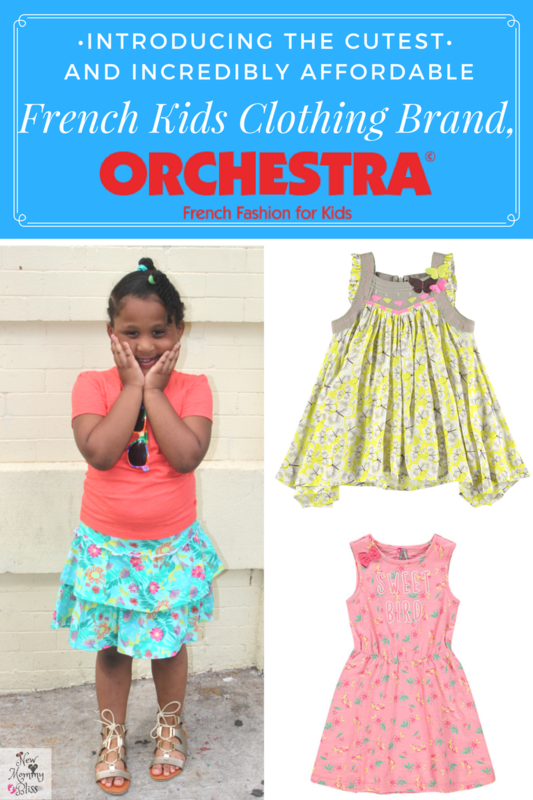 Introducing the Cutest and incredibly affordable French Kids Clothing Brand, Orchestra + $50 Gift Card Giveaway! We were provided with a Gift card for attending. All opinions are my own. I was invited to have lunch and chat with the CEO of Orchestra Prémaman USA, Agathe Boidin and it was truly a pleasure! 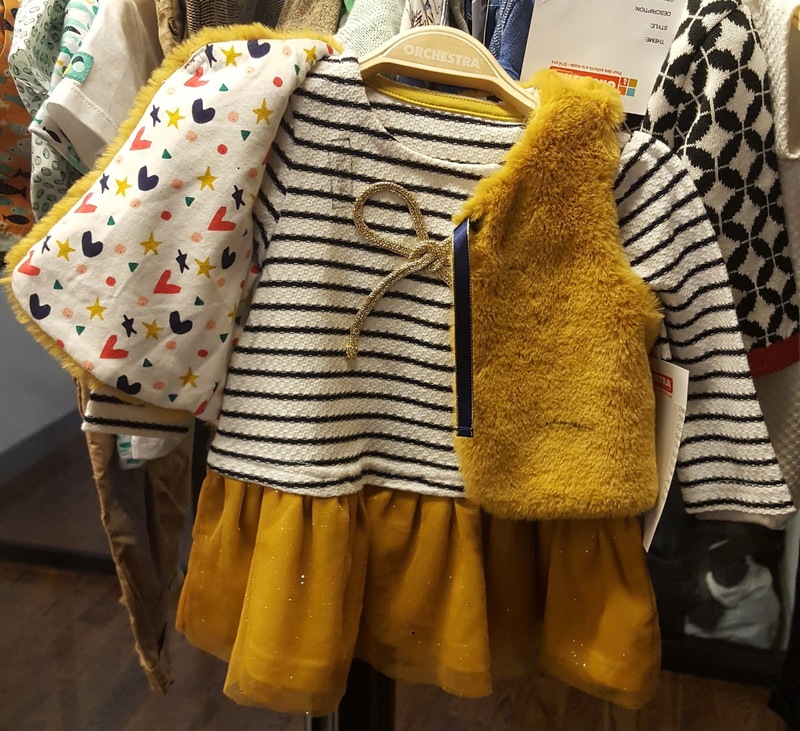 Not only did we get the chance to fall in love with many of the ridiculously cute French outfits in person, but we also got to learn more about the brand and how different the demographics of the shoppers change from country to country. We were also gifted a shop credit so that we could really get a feel for the site and order some beautiful outfits! Orchestra has been a family-owned company since 1995 and was created by Chantal and Pierre Mestre. 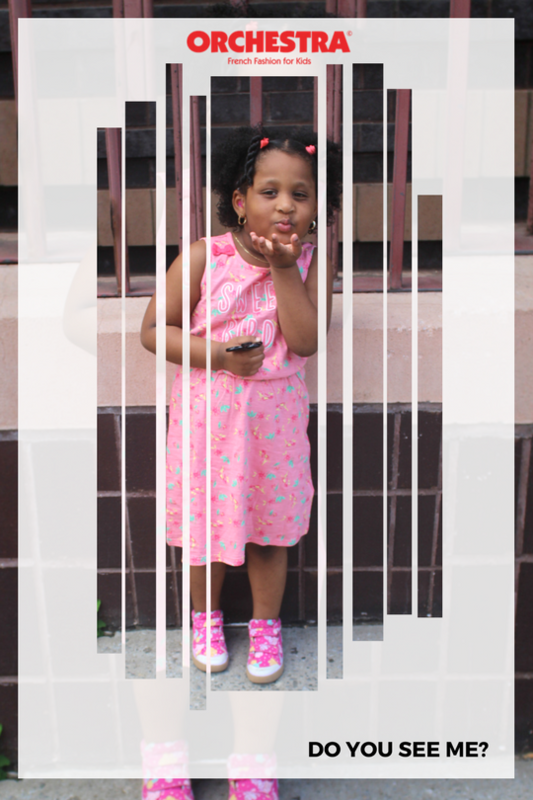 They felt the need to design and produce a fun and affordable children’s clothing brand. Their experience as merchants in the textile industry and as parents to their own little ones, led them to develop a diverse fashion collection, ranging from newborn babies to young pre-teens! Orchestra offers a comprehensive collection of newborn and baby clothing for all seasons, combining essentials and must-haves to make everyone happy! Whether you’re looking for little bodysuits, all-in-one snowsuits, lace dresses, or shirts, each Orchestra piece reflects commitment to comfort and practicality. Did you know that they also offer a collection for premature babies??? The size 000 is specially designed for very small babies, keeping them warm and comfortable from birth. Gabby is 4, but certainly has to get the last kids size (10) or a juniors size (8,10, 12) in this brand. It all depends on the design of the clothing and the fact that the French brand has their clothing measurements converted from centimeters. I do love that their collection of clothing for juniors has a multitude of joyful themes, from a trip to the end of the world, an afternoon in the fields or a short break with a smoothie. 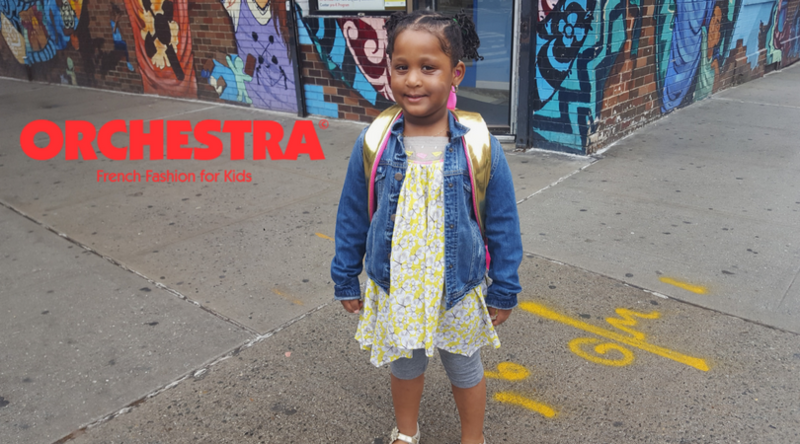 Orchestra will allow girls and boys to dress in the latest fashion trends from head to toe at a reasonable price for our pockets. 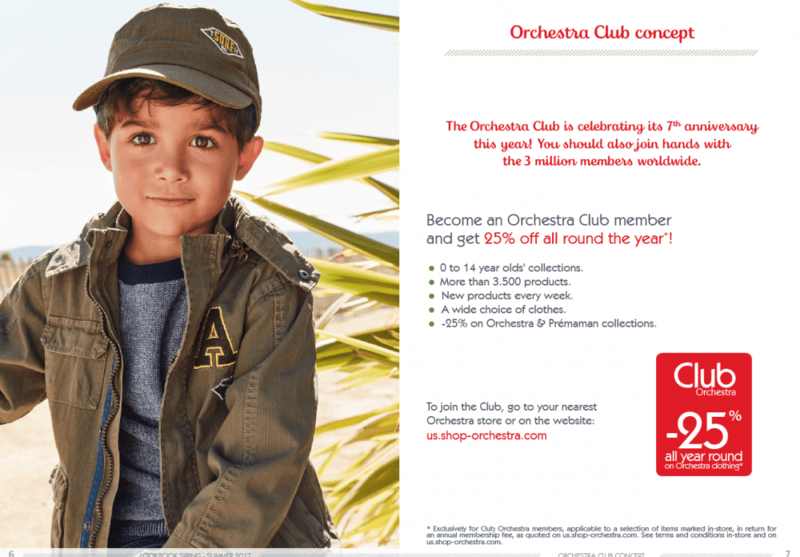 We decided to take advantage of a program called Club Orchestra that only costs $10 per year, but saves you 25% off of EVERYTHING! With $100, we were able to buy what would have been $130 worth of clothes. That totaled to 13 pieces! Right there, we had already made our money back from the club card. I highly recommend you take advantage of the membership as I promise it won't be your last time shopping there! If I won I would get this one - http://us.shop-orchestra.com/en_US/girl/right-now/special-ete/flowery-beach-dress-with-lace-patch-and-embroidery-MF241C.html?dwvar_MF241C_orc_color=TURQ#sz=24&start=37 and some other cute pieces of course! Loving the colors and the price. A pair or Chinos would be great for my grandson.Thanks so much. Super cute! The clothes look adorable. I'd get the windbreaker with jersey lining! Thanks for introducing me to the brand. PS your daughter looks so cute in that first pic!! I have a new grand baby on the way and these clothes are adorable! As soon as I find out the gender . . . I'll be shopping away! Your daughter is so cute!! I see a few pieces I like, the pink floral Sweet Bird dress is really cute. My daughter is 5, so this is perfect for her andout style. That mustard vest is ADORABLE! I love the look of the tiny fur on a baby! I'm such a clothing lover. 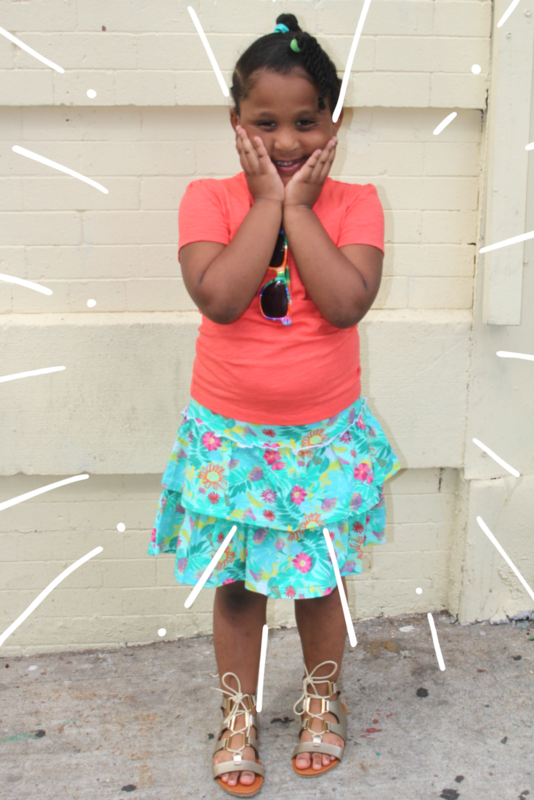 Kids that can still look like kids while being stylish is always a showstopper for me! my goodness! Such cute outfits! Your daughter looks adorable in all of them! Club Orchestra sounds like a great program. I need to get some new clothes for the kids for summer. These are so fashionable. These clothes are so cute. Your daughter is really adorable in all of the clothes, but especially that last outfit. The outfits are so adorable, I wish my kids were that small again. She looks very cute in her outfits. The colors and patterns look super nice, I like that they are appropriate for girls and not made to look "older". IT does look like such cute toddler clothes. I wish I had found some place like this when my daughter was younger. Its not that we didn't find cute clothes for her. But I was always on the look out for different things. I like the yellow and striped dress with the jacket. That looks like something I would try to pull of myself! These clothes are so cute! Makes me wish I had a little girl to dress up. I will have to share his site with my bestie for her little girl. Cute clothes! I love her outfits, so colorful, perfect for spring/summer! These are some cute outfits. Your daughter looks good in hers. This is a unique place to get kid's clothing. I like it. These are some really adorable dresses and outfits for sure. She looks so cute in all of these photos. I have not heard of Orchestra but will have to share this post with my nieces for their daughters. Thanks for sharing this awesome store. Oh my goodness, aren't they just the cutest outfits, and how awesome that they make them pocket friendly in price as well. How adorable are these?! I wish I knew of a place like this when my daughter was a toddler. We found cute clothes for her and all but these seem so cute and unique! Your little angel looks adorable in those clothes. Makes me wish I had toddlers to dress up cute and lacy. So cute I love all the prints and so affordable!